Remember those 24 daily “Season Surprise” deals that are expected to come out from Verizon up until X-mas? Today’s is the Droid X! We knew it wouldn’t be long before they tossed in a Droid device, but day 2 of the promo is the type of action we like to see. 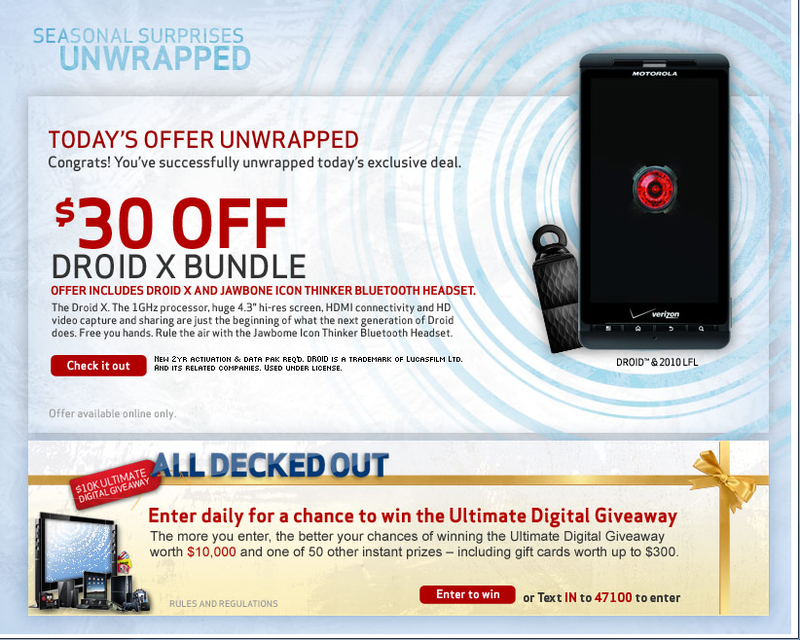 If you buy the Droid X and Jawbone Icon bundle, you’ll get $30 off, which I’m assuming means the Jawbone is essentially free. Obviously you’ll have to sign up for a new contract and all that jazz as well.